Great for artists, Maped Zenoa Fit Multi-Purpose Scissors are almost a work of art in and of themselves. The comfortable soft grip handles are embellished with a vivid, wear-proof design that's not only cool but easy to spot on a crowded desk or work bench. 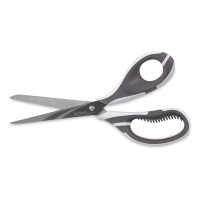 The sharp, durable stainless steel blades are securely attached to the handles and are backed by a manufacturer's 10 year guarantee. Maped Zenoa Fit Multi-Purpose Scissors come in assorted colors (we choose). ® Maped is a registered trademark. 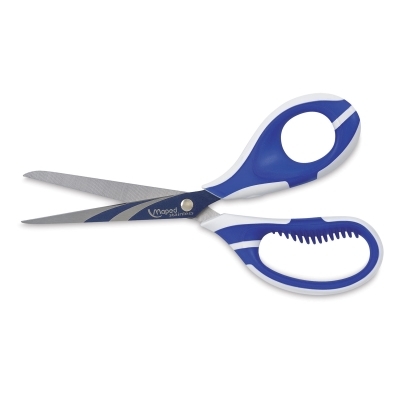 Zenoa Fit Multi-Purpose Scissors, 7"